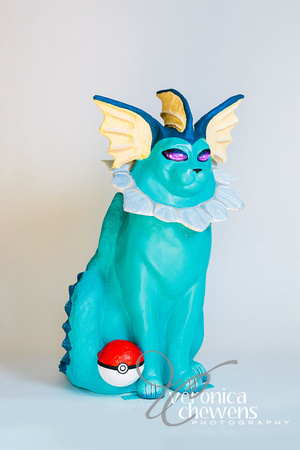 Description: As one of the most popular and recognizable Water-type Pokémon in Pokémon Go, Vaporeon is frequently found defending gyms all over Catskill! 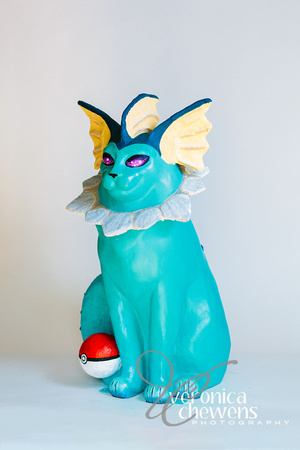 It evolves from Eevee, a fox/cat-like Pokémon known for its many possible evolutions, or Eevee-lutions. This Pokemon is both a formidable opponent and fiercely adorable! 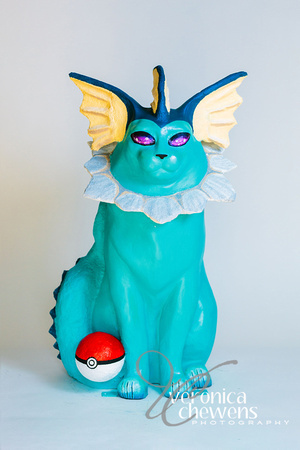 Other Pokémon related props, such as Poké Balls, can be incorporated. Tracy is a student at the Colleges of Nanoscale Science and Engineering, and loves to sculpt in her free time. She has been an avid Pokémon Trainer since some of the first games came out, and can be found playing ‘Go’ everywhere she goes! Good luck trainers – no matter which team you’re on! Gotta Catch ‘Em All!